THE INTERNATIONAL Monetary Fund (IMF) on Thursday said it could no longer release funds to Cyprus under its bailout this week, after the euro zone government suspended a foreclosure law that was required under the loan program. “Following today’s suspension of the existing legislation on foreclosure, critical requirements for the completion of the fifth program review are now no longer met,” the IMF said in a statement. Its board had been set to discuss Cyprus’ progress with the loan program on Friday and was likely to release the next instalment of aid. Cyprus needed an international bailout of 10 billion euros ($12 billion) from the European Commission and the International Monetary Fund in early 2013, largely due to problems in its banking sector. The euro zone released its latest tranche of bailout loans to Cyprus in November after Nicosia amended laws on foreclosures and on forced sales of mortgaged property in line with the conditions of the loan. “We look forward to continued cooperation, and will agree with the authorities on next steps in the period ahead,” the IMF said in the statement. Their arrogance has bitten their proverbial A…. their thinking we will get our money because they cannot refuse otherwise their will be contagion in the E U, spit the pips out of that one CY. What I find astounding is the politicians are still trying it on!! They made an agreement, signed all the papers etc and in what has become true Cyprus style, renege on everything and then cry ‘poor little Cyprus’. Will they never realise the world has had enough of their bleating? It’s bad enough the politicians brought the country to it’s knees but it seems they now want to keep it there so one has to wonder what agendas are being protected. I think we know the answers, now all we have to do is watch who shouts loudest. SO, having now unsuccessfully played “chicken” with the Troika the Cyprus Government will be in the headlines across the planet as the ‘little guys” who thought they could make rude gestures to the Big Boys and get away with it. Fat chance of that! If any of the 39 who voted Against still think the IMF are an organisation that can be ‘messed with’ they should use part of their Christmas and New Year holidays to read and understand every word of the 129-page IMF 3rd Review on Cyprus dated April 2014, which for a bit of ‘light’ reading those interested can find at THIRD REVIEW UNDER THE EXTENDED ARRANGEMENT UNDER THE EXTENDED FUND FACILITY AND REQUEST FOR MODIFICATION OF PERFORMANCE CRITERIAâ€”STAFF REPORT; PRESS RELEASE; AND STATEMENT BY THE EXECUTIVE DIRECTOR. They should also check relationships with Russia: The Russian loan was contingent upon EU, via Troika, coming up with the â‚¬10bn or so needed urgently 2 years ago to prevent Cyprus going spectacularly Bust. As I posted yesterday the once-friendly Russians, now themselves having hard times, will likely and sensibly be checking if their loan terms have been breached. Meantime, following the recent huge falls in the value of the Rouble, the until recently rapidly increasing numbers of Russians holidaying on the island will have slowed rapidly. We have lived in Cyprus for eight years now and I thought I had become “used” to the way this government and previous ones think. This current show of arrogance is beyond comment. Watch them turn it round though. Have I got this wrong, or was the money not going to be used to pay the December salaries of the civil service, police, etc.? I understood the treasury was empty. Although the facetious humour of Nick and Frank was amusing to read, in hindsight it probably describes the true attitude of the Cyprus government. ‘Looking forward to continued cooperation’ and ‘agreeing with the authorities on next steps in the period ahead’ is merely IMF speak for ‘just try it on again and see what happens to you’. At last we are starting to get a reaction from the benefactor when the hand that feeds keeps getting bitten. However, the Troika also seems to be a bit naive when dealing with Cyprus’ maverick political parties and their members. It requires a much more robust approach to managing these factions. Instead of handing out great wads of euros every so often, why not try breaking each tranche down into a small number of monthly instalments with close monitoring of progress coupled with the threat of turning off the tap at the first signs of any duplicity? After all, money talks! Good, perhaps now the morons in the circus will begin to realise (but I wouldn’t bet on it) that when someone lends you money, that you have asked for, and conditions are in place for the loan to be expedited, when you don’t comply with the conditions you don’t get the money. It’s very simple really, if you want the money comply with the agreements. If you don’t want to then go and find the money from elsewhere or go without – its not rocket science. Unfortunately the ones with sense are greatly outnumbered by those with none and it is the hard working and put on population at large who will suffer the consequences of the lunatics with none. Mind you I still feel they have an arrogance beyond belief and will again agree to everything necessary in time to get the money before its too late in a few months time and then start the pseudo patriotic procrastinations all over again – unbelievable! I agree with the IMF. How can Cyprus expect to receive bailout money without making changes. If they dont make the changes required then Cyprus will be in the same position it was before the bailout money was released, on its knees. If Cyprus continue with the delaying tactics on these matters then somebody must take things into their own hands. Apparently Cyprus doesn’t need as much money as they are going to sell the 305,000 properties that have no owners and make the new owners pay taxes! (The Auditor Generalâ€™s report for 2013 states that more than three hundred thousand owners of property in Cyprus cannot be taxed on their property as the Land Registry has no way of knowing who they are). They estimate this will bring in an initial â‚¬30 billion followed by an annual increase in collected taxes of â‚¬60 million! This will enable the wheels of industry and politics in Cyprus to remain well and truly oiled for at least 2 years! I agree with Nick. The Troika’s arrogance is stunning! They MUST be punished and future payments to Cyprus should be trebled and continued ad finitum. Meanwhile any future repayments by Cyprus should be forfeited. This is absolutely disgraceful. 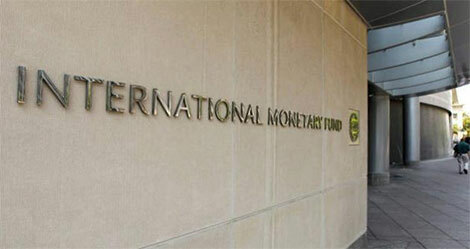 Does the IMF not realise that the world owes the Republic of Cyprus a living, come what may?